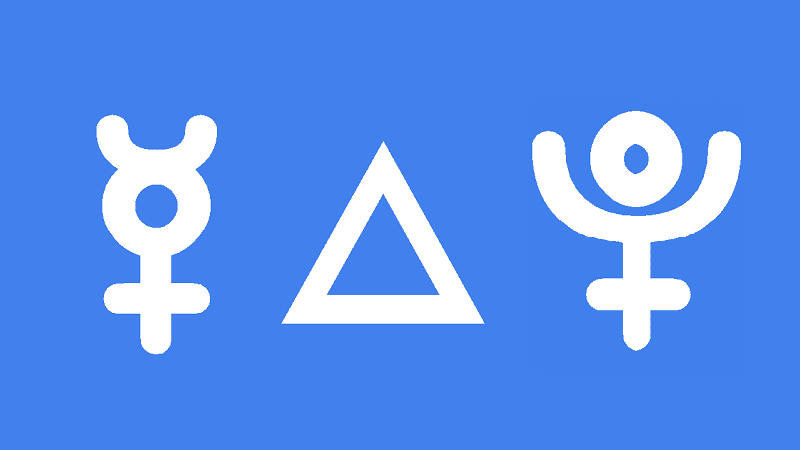 Mercury trine Pluto natal gives a deep and inquisitive intellect. Your powerfully penetrating mind, focus and determination allow your to hone a particular skills and become an expert in your chosen field. You may be very competitive about serious matters but this does not affect your social life. Friends are important to you but you may prefer fewer true friends who appreciate your depth of thinking. You love to get to the bottom of things and would make an excellent researcher, spy or investigator. You have the ability to filter out background noise and concentrate for prolonged periods. You also have an understanding or connection to the darker side of life, the underworld, criminal elements, the occult and mysteries. These combined skills would suit detective work, astrology, psychology or taxation and debt recovery. Debating, public speaking and writing would appeal to you because of your piercing intellect. Satire, horror, dark humor or human nature and psychology could be specializations. Even politics would suit your persuasive communication style and your ability to promote certain ideas and ideologies. Mercury also rules the hands and arms, and I came across more than the average amount of professional tennis players with this aspect strong in their chart. A good example is Chris Evert (0°03′), the most consistent tennis player of the 20th century. Ice-cold and all business on-court, and friendly, witty and America’s Princess off-court. Your powerful mind could be trained to project thoughts at the psychic level but care must be taken to do no harm. Telepathy is OK with a willing partner but you would be equally as successful at brainwashing and spreading gossip or propaganda, at both the verbal and nonverbal levels. Mercury trine Pluto transit is ideal for asking for favors and talking people into things. Your brain is very powerful under this influence and it gives the power of penetration at the mental level. This could be applied to sales work, debating, bargaining or negotiating favorable deals in business or major purchases like houses and cars. Just as you can have a profound influence on others, you may meet someone who deeply affects you through some idea, plan, or it could be the beginning of a karmic friendship or successful partnership. Socializing for the sake of it may not be appealing as serious discussion. Gains can be made if you are on the wrong side of the law. Your understanding and perception will be deep when it comes to the underworld such as drugs and crime. But your ability to deeply understand things is probably best applied to research and investigation, uncovering secrets and psychological self-analysis. A good time to understand astrology at a deeper level. Any obsessive tendencies you have can be applied to discovery and research, where blocking out background noise is an asset. This would be a good time to consult as psychologist or psychiatrist, to get a psychic reading, a past life regression or to try your hand at dream recall, telepathy or remote viewing. Chris Evert 0°03′, Renée Zellweger 0°06′, Reginald & Ronald Kray 0°17′, Esther Ralston 0°19′, Danny DeVito 0°24′, Neil Young 0°29′, Evelyn Waugh 0°37′, Larry King 0°40′, Liza Minnelli 0°46′, Dionne Warwick 0°46′, Mary Pierce 0°56′, Eleanor Roosevelt 0°56′, Lleyton Hewitt 1°22′, Drew Barrymore 1°25′, Harvey Weinstein 1°45′, Noah Wyle 1°46′, Brad Pitt 1°53′, Jeff Bridges 2°08′, Rupert Murdoch 2°50′. How this aspect plays if it touches the natal sun of someone by few degrees? could this help to find solutions to depressions or allow the person to acknowledge the root of it? thanks! Yes, exactly. Uncovering secrets too. i think this trasnsit hits virgo /cap / taurus decan 2 on September. what do you think?